Cruise ships represent the ultimate in luxury tourism. 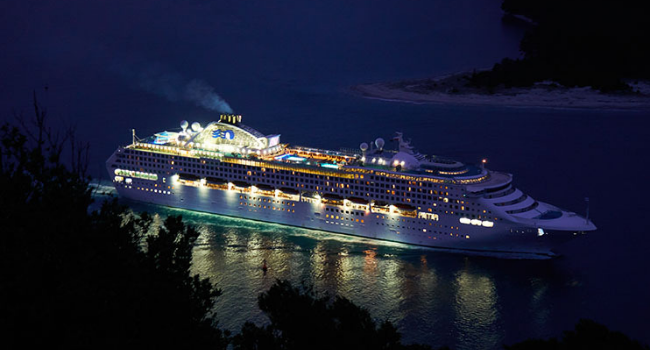 It can get bigger and better than a mighty cruise ship with all the luxuries, entertainment and facilities. There may be 7-star hotels but none of them can match the experience of spending time in the sea while on a cruise ship. That’s why cruise ships are highly regarded in the Marine Industry. Most people would love to go on a cruise at least once in their lifetime. Alas, cruise ships are not cheap. Cruise vacations are expensive commensurate with the luxury they provide. So, without much further ado we will tell you the most luxurious cruise ships ever. The most expensive of them all. This mighty ship’s maiden voyage was in in 2016. 3 years on, it still remains as popular as ever. No other ship has been able to dislodge its numero uno status as the most expensive cruise ship in the world. It can ferry 752 people with extra 500 staff always at your beck and call. Talk about luxury! The ship is full of entertainment activities such a full-fledged casino, connoisseur club, theater, 3 exclusive lounges, 2 main restaurants, 3 complimentary specialty restaurants, a steakhouse, a spa, a business club and of course super expensive shopping. All rooms are some of the biggest in the industry ranging from 55 sq ft to 995 sq ft. The price for a cruise vacation onboard this ship ranges from $7,699 to $88,000 making it the most expensive cruise in the world! This majestic king of the sea can hold more than 1000 passengers! It first sailed in 2003 but with expensive upgrades, it has managed to entice tourists year-after-year in spite of its price tag. This certainly doesn’t lack any luxury. It has a spa facility, golfing area, loads of play area for kids, live performances, casino, specialty restaurants, and coffee bar. It also hosts many well-known personalities and super-achievers as guest speakers to make the guests’ experience more enriching. The price for fun on this ship ranges from $3,800 to $14,000. Riviera by Oceania Cruises can hold 1250 passengers. It was launched in 2011. The main attraction of this ship is that it cruises around the Mediterranean region of Greece and Italy- one of the most scenic places on earth. Other star attractions include a plethora of dining options and entertainment centers. If you love suites then this is the ship for you. There are 147 suites including a 2000 sq. ft. Owner’s suite and 478 other rooms. This ship epitomizes super luxury with a price tag between $1,710 and $25,560. It is Silversea’s newest and the largest addition to its fleet. It is expensive as hell, boasts of the highest quality of food and can hold up to 596 passengers. If there is one cruise that we highly recommend it, it’s the Silver Muse. It’s targeted to mainly adult tourists with eight world-class restaurants. With an art gallery, a lounge, pool, deck, gym, casino and spa, this cruise is all about relaxation, tranquility, and peace of mind. You won’t the maddening crowds and chirpy kids all over the ship. For a voyage on this ship, you’ll have to shell out $2,430 – $20,000. It’s a theme park floating on the sea. Launches in 2016, it holds a whopping 5479 passengers. It is truly a city on the sea. No wonder it is one of the largest cruise ships. It is famous for its entertainment and activities options. You name it and they have it. Harmony of the Seas is especially popular with kids and families. It has a basketball court, poker, pools, amusement arcade, ice skating rink, aqua theater, carousel, bars, and restaurants. Even with so many options, it’s surprisingly cheap at $961 – $1500.